The company announced Tuesday the launch of Curator, a platform that surfaces the most relevant and popular tweets and Vines around a certain topic. Twitter wants to make it easier for media entities to tap into conversation on its platform. 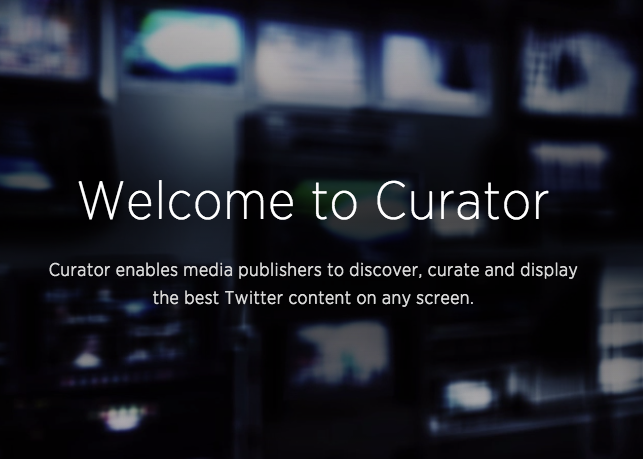 The company announced Tuesday the launch of Curator, a platform that surfaces the most relevant and popular tweets and Vines around a certain topic. Media publishers can see a demographic breakdown of those talking about a topic, such as March Madness, as well as some of the most popular tweets and Vine videos. Whether it’s Fashion Week, the Cricket World Cup or a TV show finale, surfacing great Twitter content in key moments is a powerful catalyst for engaging audiences and igniting conversations. Now we’re making it easier than ever to find and display the most relevant Twitter and Vine content with a new tool called Curator. To request access to Curator, click here.